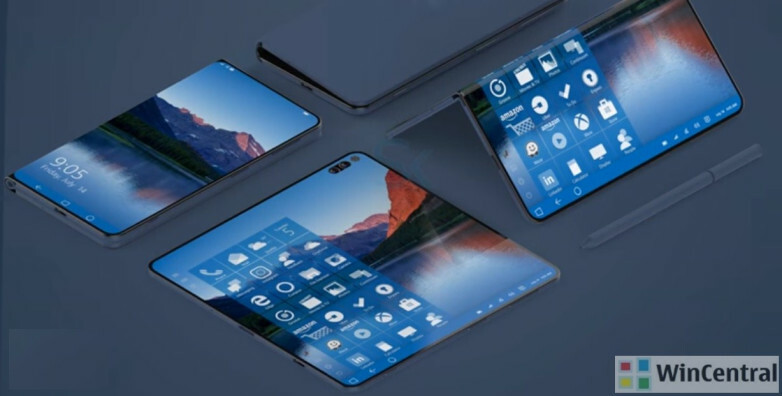 Several incidents have led us to believe that Microsoft could be unveiling a revolutionary foldable device that goes by the name Surface Phone at the Mobile World Congress 2018. First of all, multiple now-published patent applications from Microsoft show a foldable mobile device that the company is apparently working on. Second, this assumption is supported by insider information that a new hardware device running a completely new version of Windows 10 Mobile was making the rounds at Microsoft headquarters in Redmond last year. Third, Microsoft CEO Satya Nadella has been talking about “the ultimate mobile device” for a while now and, although his focus has been on “mobility” as opposed to “mobile”, reading between the lines reveals that a revolutionary device is definitely in the cards. Fourth, Windows 10 now has far greater mobility on the new 2018 laptops from HP, Asus and Lenovo that run Windows 10 S on Qualcomm’s Snapdragon 835 SoCs (Systems-on-Chip.) That means Microsoft has overcome whatever emulation challenges it faced with running Windows 10 on ARM chips. Fifth, and this is the exciting part, a customer service rep from Microsoft China just let slip that a Surface Phone does, in fact, exist. Here is their response to a customer query about Cortana. The first part of that bolded text clearly reveals that the Surface Phone does exist, although the reply was later updated with the text in parentheses, presumably to avoid news outlets from blowing it out of proportion. Obviously, they failed to obscure it enough. Why is this believable? The biggest reason is that Microsoft seems to have mastered the emulation challenge that’s critical to running desktop apps on a mobile device. The fact that three major OEMs are releasing laptops with Windows 10 S on ARM chips – and that all are upgradable to the full Windows 10 with emulation layers – shows that Microsoft might just be ready to unveil the Surface Phone after so many years of speculation, rumors and guesswork. Will the foldable Surface Phone be revealed at MWC 2018? It’s possible, since they seem to have worked out both the hardware and software side of things. The event starts on February 26 and runs through March 1, 2018, and will be held at the Fira de Barcelona in Spain. If the Surface Phone is, in fact, unveiled this year, it could upset the stable balance of power that Apple and Google have set up in the smartphone world with iOS and Android. Not immediately, but eventually and undoubtedly. I say undoubtedly because a mobile device with the capability of a desktop is something the market is ripe for at this point. Smartphone advancements are almost reaching a plateau, as evidenced by no real innovation in any of 2017’s smartphones. Maybe 2018 will be Microsoft’s year of mobile? Who knows?